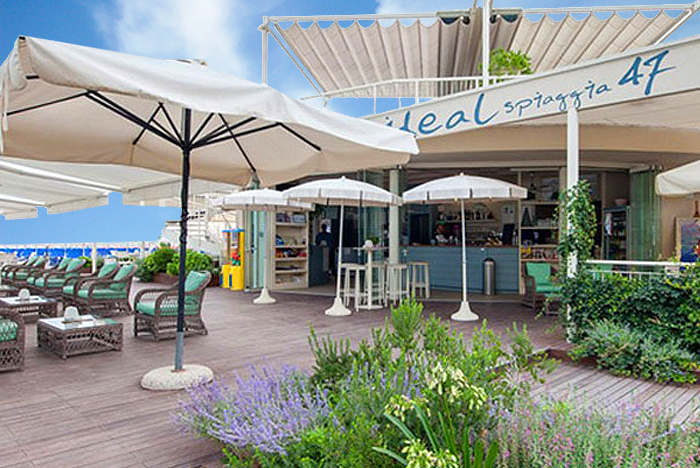 Your funny holidays in Cesenatico, just few steps from the sea! 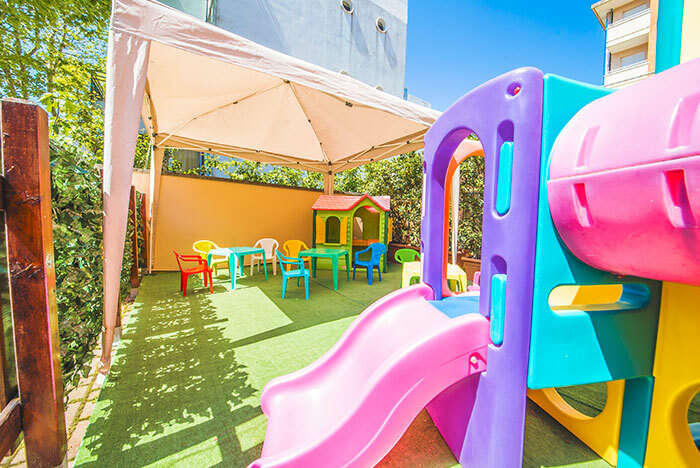 At the hotel, outdoor play area for children. 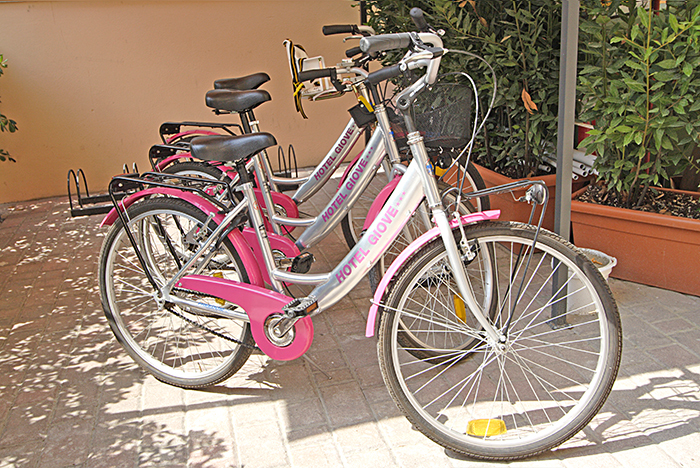 Bikes available to all our clients for pleasant rides. Our Hotel is ready to offer any kind of support to the different cycling lovers who found in the Romagna Inland the perfect location for follow amazing sport events, one of the most famous is the "Nove Colli" ride, and spend enjoyable days between nature and wellness. In front of the hotel, our partner beaches. 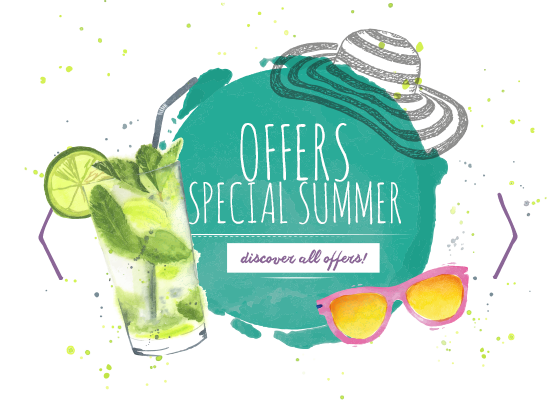 1 umbrella and 2 sunbeds if you choise our All Inclusive Formula! 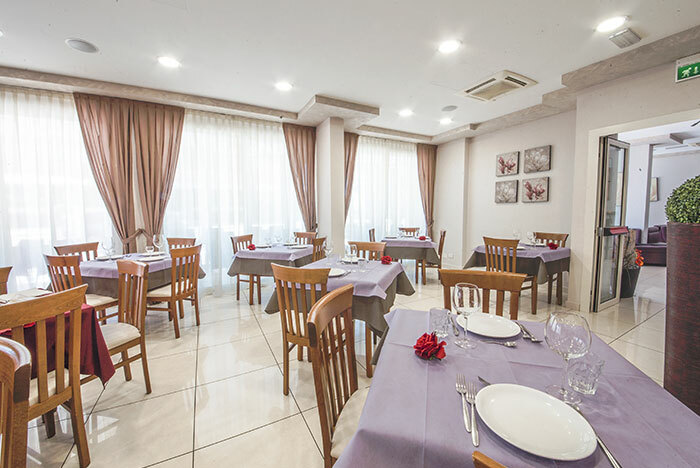 4 choise of menu, homemade dishes of fish and meat, rich breakfast buffet of sweet and salty, vegetables buffet and appetizers. 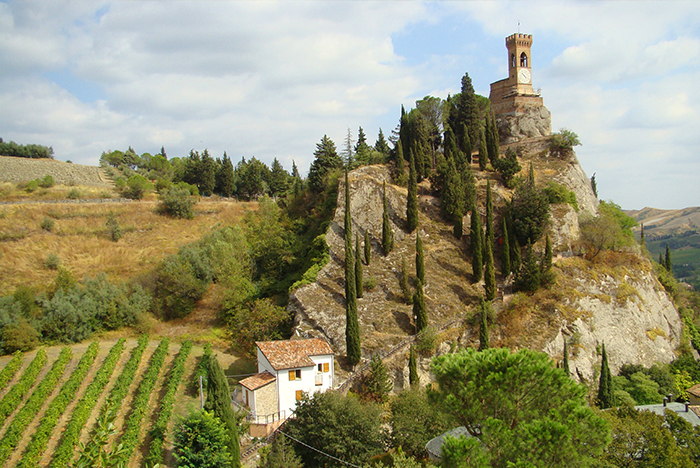 Free excursions into the Romagna Inland and many amusement parks at a few kilometers from the hotel! • Free entrance and transport to Cesena's Hyppodrome & Bingo for a night of races. • Free entrace to Museo della Marinearia in Cesenatico. ... and many other opportunities for recreation and fun!